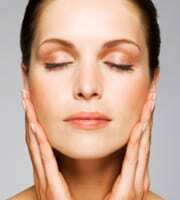 The natural tendency of the skin of the face is to relax over time. Additionally, there is a loss of volume underneath the skin in some areas, and formation of jowls that soften the jawline. Relaxation in the neck area causes vertical folds and extra tissue under the chin. If you ever wondered how a rhytidectomy, or facelift, as it is commonly called, could improve your looks or self-confidence, you need to know how a facelift is performed and what you can expect from this procedure. Successful facial plastic surgery is a result of good rapport between patient and surgeon. Trust, based on realistic expectations, open communication, and medical expertise, develops during the consultation, before surgery is performed. A facelift is an individualized procedure based on your specific needs. After many years of looking in the mirror and groaning…I went for a consultation with Dr. Lichtenberger at the LIFE Aesthetic Center. Everyone in the office was so kind and welcoming and Dr. Lichtenberger made me feel very secure. Later, my mother and I went to an evening meeting presented by LIFE Aesthetic Center. A slide show of faces before and after definitely prodded me on to make the decision! My 80 year old mother didn’t wait for me. She jumped right in and had her ear’s tucked She was thrilled and said the operation is a vacation for the patient! So, I went for eyes, ears face and neck…and I felt the same way. I was so comfortable during the operation. There was no discomfort! So, I highly recommend this life changing adventure for everyone who winces at their reflection! You know!! !…before…I truly noticed that I had become invisible to the general public. As is common with all facial plastic procedures, good overall health and understanding the limitations of a facelift are vital. The goal of a rytidectomy is to improve the overall facial appearance. Skin type, ethnic background, degree of skin elasticity, individual healing, basic bone structure, as well as a realistic attitude are factors that should be discussed prior to surgery. A facelift cannot stop aging, but what it can do is help your face look its best and give you a look of health and a more youthful appearance. A side benefit is that many patients experience increased self-confidence. Before deciding on a facelift, you should discuss with your facial plastic surgeon whether the overall effect will be more successful if additional changes are made in the chin and neck areas through other facial surgery. Many patients decide to have neck liposuction to remove excess fatty deposits in conjunction with a facelift. If several areas need correction, more than one procedure may be necessary for the best overall result. The surgery begins the incision in the area of the temple hair, just above and in front of the ear, and then continues around the earlobe, circling the back of the ear to the hairline behind the ear. The skin is raised outward before repositioning and tightening of the underlying muscle and connective tissue. Some fat may be removed, as well as excess skin. For men, the incision is aligned to accommodate the natural beard lines. In all cases, the incision is placed where it will fall in a natural crease of the skin for camouflage. After trimming the excess skin, the incisions are closed with fine sutures, often combined with surgical clips which permit surgery without shaving hair from the incision site. When the procedure is performed with a combination of mild sedatives, local anesthesia, and a mild intravenous anesthesia, the patient will experience little discomfort. Following the surgery, a dressing is placed to protect the face and apply mild pressure overnight. Even though most patients experience very little pain after surgery, the surgeon will still prescribe medication. Some degree of swelling and bruising is unavoidable, and your surgeon may instruct you to use cold compresses to keep swelling to a minimum. The dressing is removed within one to two days. You will also try to keep your head elevated when lying down, to avoid as much activity as possible, and to report any undue discomfort. Though there are few risks in facelift surgery and thousands are performed every year, some risk exists in any surgery. In some cases, a drainage tube may have been inserted during surgery. This will be removed on the first or second day after surgery. All sutures and clip are removed within five to 10 days following surgery. Avoidance of vigorous activity is recommended for three weeks. Patients should prearrange for post-surgery support from family and friends. Facial plastic surgery makes it possible to correct many facial flaws and signs of premature aging that can undermine self-confidence. By changing how you look, cosmetic surgery can help change how you feel about yourself. With the care of our expert team you can achieve your best possible appearance.